At Artificial Art we acknowledge that under the Welsh Language (Wales) Measure 2011 the Welsh language has official status, and should be treated no less favourably than the English language. We believe that it is good business practice wherever possible to provide services in the language of choice of our customers. We also believe that it shows respect to our workforce to encourage and facilitate the use of their chosen language in the workplace. We will ensure that we make constant progress towards achieving this ambition; this Welsh Language Policy sets out our current commitments in relation to using Welsh. We have an Inclusion action plan which sets out specifically the actions we will take as an organisation to practically implement this policy. When required, to incorporate the best up-to-date multi-lingual technologies ensuring bi-lingual content is displayed without prejudice and with an optimum user experience. In formulating new initiatives, or in amending policies, Artificial Art will assess their linguistic impact and make sure they are consistent with this Language Policy and will ensure that the measures in the Policy are implemented when new policies and initiatives are implemented. At Artificial Art we understand that some customers may want to receive different elements of the service in either Welsh or English and their personal choice on this matter will not be restricted. We will always make customers aware that they are able to receive our services in Welsh and English or a combination of the two languages. 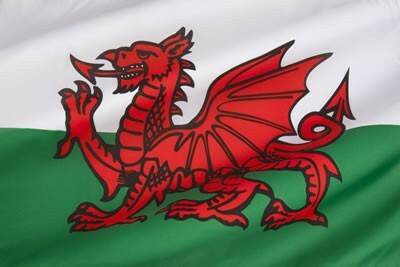 Although we currently cannot guarantee to provide immediate access to a Welsh speaker, we do have 2 Welsh speaking team members who on request will be able to provide information and support to customers and members of the public who would prefer to use the Welsh language in their communication with us and / or when receiving services from us. Ensure that for every contract we deliver we have access to Welsh speaking team members who can liaise and work with customers who prefer to use the Welsh language. Share services for Welsh speakers with other organisations, which provide similar services, or purchase the services from them subject to resources and best value. Raise staff awareness of the Language Policy. Provide opportunities for staff to learn Welsh. Consider using future recruitment opportunities as a way to increase the number of Welsh speakers in the workforce. We plan to have this website and all marketing materials available bi-lingual in due course. Services provided in Welsh and in English will be equal in quality and where possible they will be provided within the same timescales. We are committed to communicating with customers in the format and language of their choice.